Jaipur, Nov 23 (IANS) The BJP on Friday filed a complaint with the Election Commission against C.P. Joshi, Congress leader and contestant from Nathdwara, for making caste-based statements at a public gathering. State convener of BJP's election cell Nahar Singh Maheshwari said Joshi commented on castes and religion at a public gathering in Sema village, which is a violation of the model code of conduct. 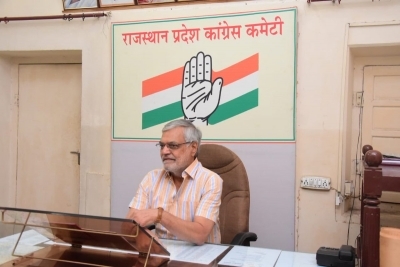 "As his statements could trigger communal disharmony in the state, we have demanded strict action against Joshi in our complaint made to the Election Commission," said Maheshwari.